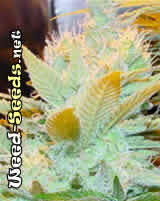 White Lightning is a F1 hybrid of Jack Herer and a strain from Oaxaca, Mexico. White Lightning has a unique sweet and sour flavour that leaves mouths smacking. The buzz is energetic and uplifting. 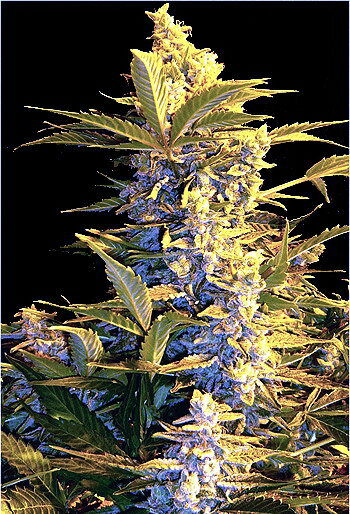 White Lightning grows tall and lanky with many budding sights. 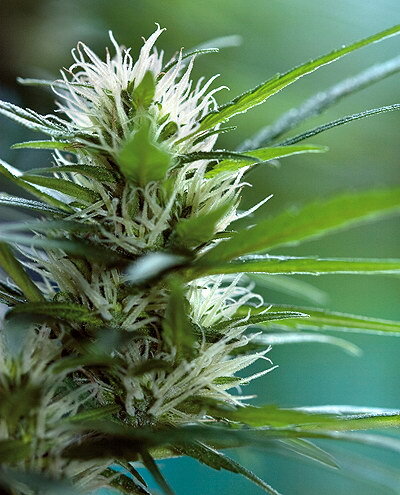 Picture of White Lightning cannabis bud, a white strain high in THC that leaves the mouth smacking.